This is a kit from a wonderful designer named Megan Farrow (Flergs). It is the Strawberry delight mini kit. 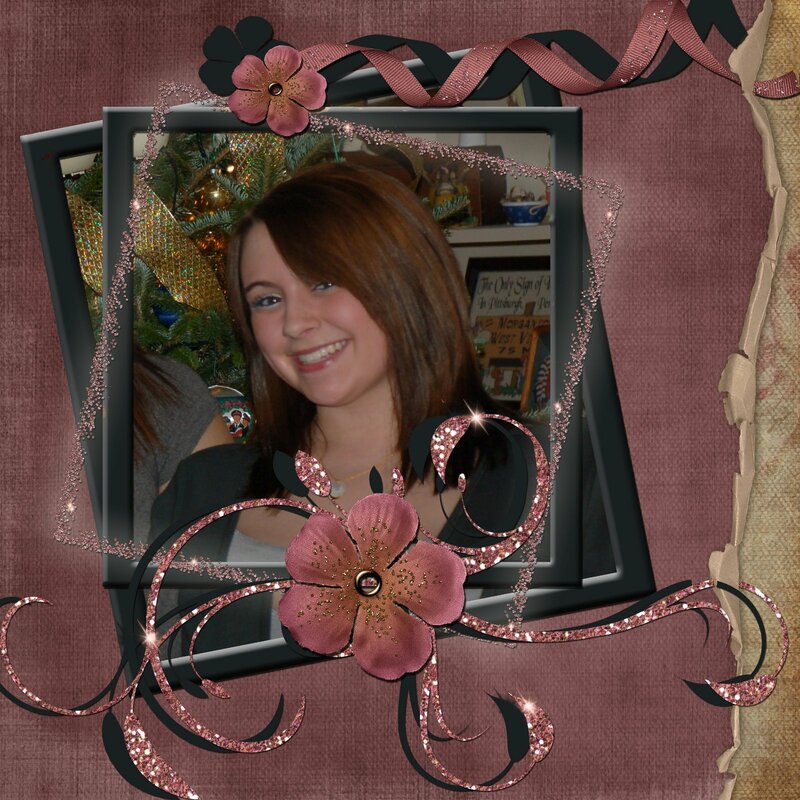 The subject is my oldest niece, Kristen…..so grown up and such a great gal! Hi there,Just a note to thank you personally for entering my CT competition. Sorry I have been so slow to personally thank everyone who entered. I did appreciate your layout very much, and I hope you had fun creating it. The black is an excellent choice!Thanks again for playing along with me, and I hope you have a fun time.